ABOUT THE CREATORS OF MYPHENOMFITNESS.COM! For awhile now I have been consuming tap water on a regular basis unaware of the possible negative/positive effects that could come as a result. I did not really think much of the health effects of drinking tap water regularly besides the fact that it is so convenient and cheap. However, in recent weeks I have heard some different things about the possible dangers of drinking tap water along with the potential dangers of fluoride as I was browsing through some articles on my favorite websites. The articles did not really have many credible sources so I decided to take the information presented in them with a grain of salt before conducting my own research to answer the question of: Is tap water safe to drink? Because I live in North America and most of the viewers of this site are located in North America, I am going to base much of the information I present in this article to this particular region. According to the USDA Nutrient’s Data Laboratory, sodium, potassium, calcium, magnesium, iron, copper, manganese, phosphorus, and zinc were found to be present in a nationally representative sampling of drinking water. According to the study, only 4 of the minerals were above 1% of the U.S. Daily Value, assuming that 2 liters of tap water were consumed daily. The 4 minerals were copper at 10%, Calcium at 6%, magnesium at 5%, and sodium at 3%. There are many known benefits of mineral consumption. Calcium and magnesium have shown bone and cardiovascular health advantages. Sodium intake is important for electrolyte balance. Copper’s health benefits include antioxidant properties, the ability to use iron, and cardiovascular health. How safe is tap water consumption? What are the dangers of fluoride and other minerals? According to the Environmental Protection Agency, fluoride is also found in tap water. In 1974, Congress passed the Safe Drinking Water Act determining the level of contaminants at which no adverse health effects were likely to occur. Non-enforceable health goals that are based specifically on “health risks and exposure over a lifetime with an adequate margin of safety” (article about the safe drinking water act found here) is titled maximum contaminant level goals or MCLG for short. The MCLG for fluoride is 4.0 mg/l. 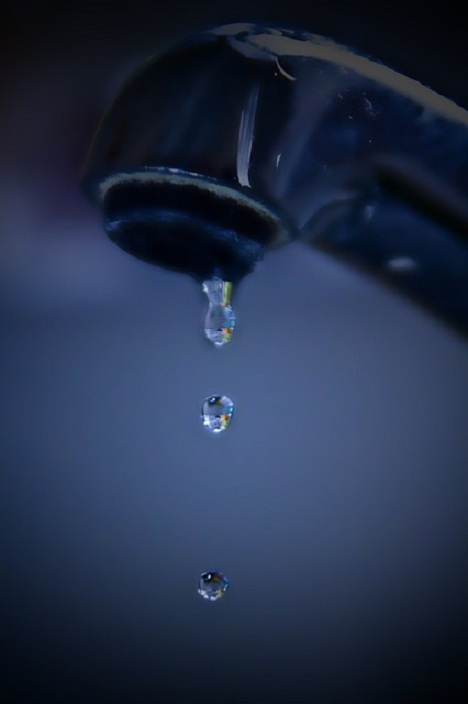 According to the Center for Disease Control and Prevention, 73.9% (204.3 million people) of the population in the U.S. population on community water systems had access to fluoridated water in 2010. Another study conducted on 320 children attending elementary school in Campeche, Mexico showed an occurrence of fluorosis in 56.3% of the children caused by exposure to fluoride. In addition, a study conducted by the CDC showed that despite 60 years of water fluoridation reaching about 2/3 of Americans on public water supplies and almost 100% being reached via food supply, there is still a incidence rate of 1/3 to ½ of U.S. school children exhibiting dental fluorosis. I can list numerous other studies but I am going to conclude the negative effects of fluoride on teeth with this last study comparing breastfed babies to formula-fed babies. Children that were breastfed had less cavities than non-breastfed babies despite breast milk having 100 times less fluoride than dentists claim is optimal for the reduction of cavities. Grant it that there are many studies that also show that fluoride is good for teeth but the side effect of fluorosis and many of the studies conducted clearly show that fluoridation is unnecessary, if not harmful. So what are some adverse health effects of in-taking fluoride? Now that we discussed the negative effects of fluoride use on teeth, which is a primary reason for adding fluoride to our water supply, I will now discuss the many different studies showing the toxic effects of fluoride consumption. 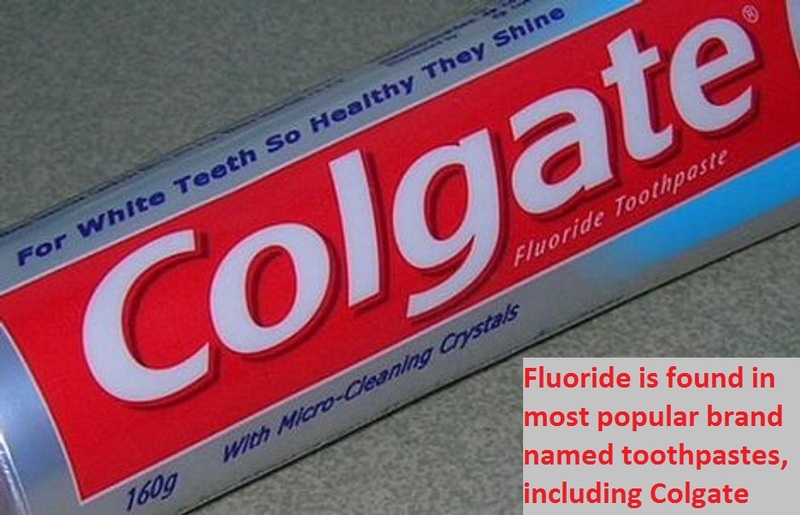 Fluoride has been known to have negative effects on teeth, bones, and stomach. In a study conducted on rats to determine the effects of fluoride ingestion, Sprague-Dawley rats consumed a diet high in fluoride for up to 99 weeks. The study showed evidence of fluoride toxicity in the teeth, bones, and the stomach with the severity of the negative effects being directly related to the dose and duration of exposure to the fluoride. In addition to the possible dangers of consuming tap water as a result of its mineral content, tap water also has been known to have levels of bacteria and/or added chemicals whose purpose is to kill the bacteria, such as chlorine, which can have adverse health effects in itself. If possible, tap water is not a “good” source of drinking water and should be avoided if possible. If that is not possible, contact your water supplier for details on the water supply to see if your water supply is relatively safe to drink. Water suppliers that serve the same people year round are required to send their customers an annual water quality report. For more information visit the EPA’s website at epa.gov for information on drinking water and health (for information about contaminants in your drinking water and their health effects) and local drinking water sources. So now that we are more aware of the amount of minerals found in our public water supply, the next portion of the article will be talking about the possible health benefits/dangers of the minerals found in high abundance in drinking water: magnesium, calcium, zinc, sodium, and copper. Magnesium has been shown to have many positive effects, and according to the World Health Organization, drinking water rich in magnesium may provide substantial contributions to different communities. Low magnesium levels have been associated with endothelial dysfunction, decreased insulin sensitivity, hypertension, pre-eclampsia, coronary heart disease, type 2 diabetes mellitus, and metabolic syndrome. In animal studies conducted, low levels of magnesium were associated with a myriad of problems including hypomagnesaemia. The upper level for magnesium intake (meaning that you should not intake any more than this amount to be deemed “safe”) is 250-350 mg/day. With that being said, there is little to no prevalence of magnesium intoxication from food intake and the upper level was determined via supplementation. So in regards to magnesium levels in tap water, magnesium is a mineral that you do not have to worry about. Calcium is known to have many positive effects on the body. It may block the absorption of some heavy metals, increase bone density, and may even prevent some cancers. It is recommended by the World Health Organization to have 20-30 mg/L of Calcium in drinking supplies for optimal health. Calcium in tap water, like magnesium, is also a mineral that you do not have to worry about in terms of adverse health effects. According to the Environmental Protection Division, the drinking water guidelines for zinc are 5 g/liter. On average, the zinc found in our water supply just meets these guidelines and is also 5 grams per liter. However, the zinc content was shown to be as high as 75 grams per liter. This can be very dangerous. Possible negative effects of zinc intoxication include anemia, damage to the pancreas, and decreased levels of HDL cholesterol. Studies conducted on rats have caused infertility, anemia, and kidney and pancreas damage. Low levels of zinc also cause many problems including decreased taste and smell sensation, decreased immune function, slow healing of wounds, and skin sores, to name a few. As long as zinc levels are within the 5 grams per liter range, there should not be a problem, but if the zinc levels are higher, many negative health implications may occur. We will start with sodium. 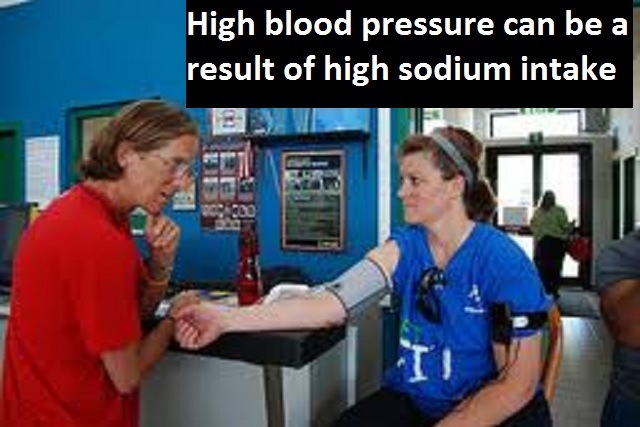 The main health risk of high levels of sodium intake has to do with its correlation with high blood pressure. Diets high in sodium often cause high blood pressure, and if someone already has high blood pressure, it tends to aggravate it. According to the Environmental Protection Agency, 20 mg/liter or less is recommended as “safe” for sodium intake. According to the study conducted by the USDA that I listed above, the average sodium content in tap water is 38 mg/liter with the highest being 391 mg/liter. This can potentially be very dangerous, especially if the individual consuming high levels of sodium in tap water is hypertensive. A study conducted by the American Heart Association showed two different case studies of individuals who had nearly fatal effects because of a high sodium intake from tap water consumption. Sodium does have many benefits as well and is important in keeping an electrolyte balance, but considering how rich in sodium our diets generally are as is, little to no benefits come from added sodium to the diet via tap water. The EPA guidelines for copper in water is 1.3 mg/ liter. Short term exposure to excess amounts of copper may lead to gastrointestinal distress while long-term exposure may lead to liver or kidney damage . A study from 2009 showed a correlation between copper intake from such sources such as tap water to an increased cause of Alzheimer’s disease. Copper is a mineral in tap water that can be potentially dangerous when consumed in high amounts and should be avoided if possible. How can I guarantee optimal water consumption? Water filters: Not all water filters are optimal for water filtration. The three types of filters that will remove harmful substances such as fluoride include reverse osmosis, deionizers, and activated alumina. If you buy water bottles, make sure that the filtration process includes one of those three types. Water distillation: Water distillation is another good way to ensure quality drinking water. Purchase a water distillation unit for your house in the form of a small counter-top unit or in much larger sized units as well. Things that do not ensure safe drinking water include Brita, Pur, and most other filters, boiling water, and freezing water. Also, consider using un-fluoridated toothpaste such as Tom’s Of Maine. So is tap water safe to drink? Are there dangers of fluoride intake? 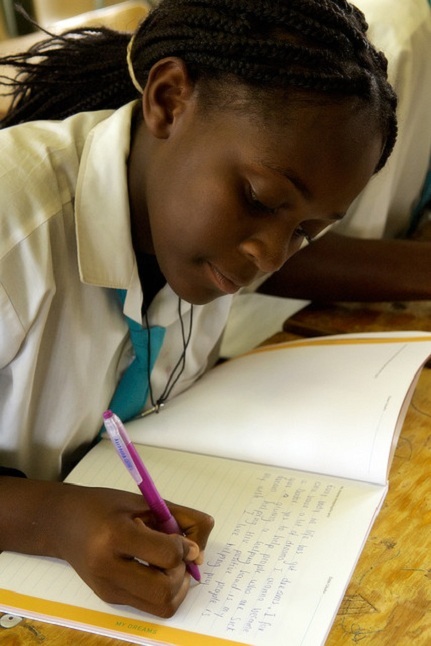 We would love to hear your opinion and some of your guys’ insights on the subject. If you have any questions, do not hesitate to ask! Send us an email at phenom.fitness.and.health@gmail.com.